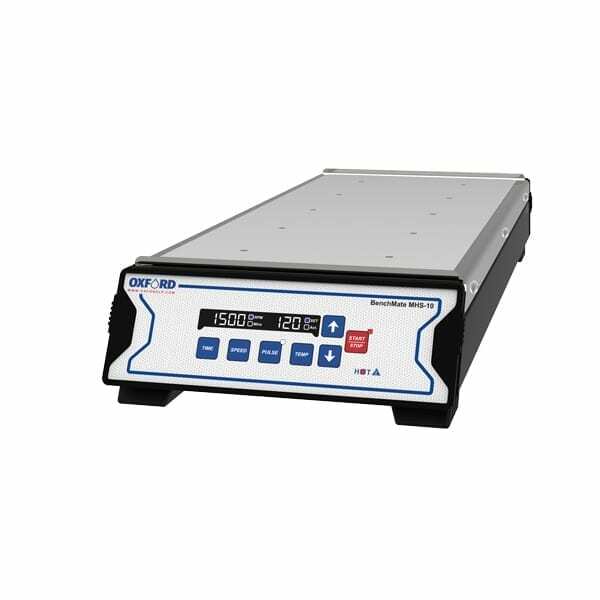 The Oxford Lab Products BenchMate MHS-5 and MHS-10 Multi-Position Magnetic Hotplate Stirrer units offer efficient, simple and safe stirring and/or heating of multiple solutions at once. 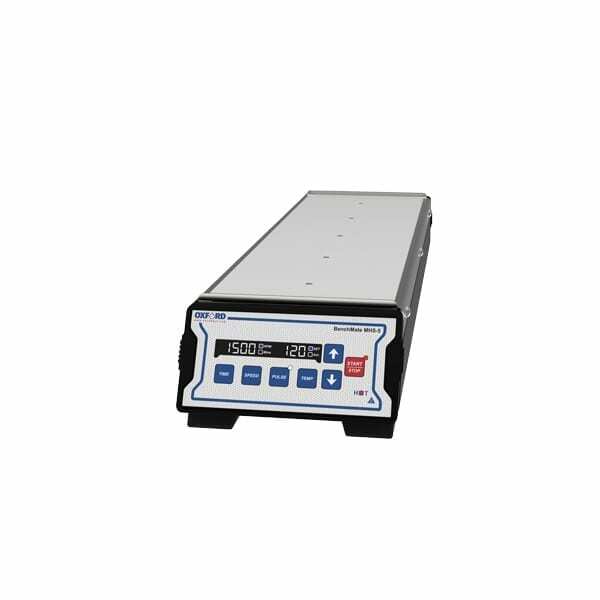 These hotplate stirrer units also come with a programmable Pulse mode for optimal mixing of difficult to dissolve solutions. The high performance and space-saving units are designed to safely maximize the use of precious benchtop space as well as saving you time by stirring multiple solutions at once. These hotplate stirrer units are ideal for mixing solutions, dissolving solutes in solvents, heating solutions, maintaining suspensions in liquids and keeping multiple solutions at a fixed temperature. 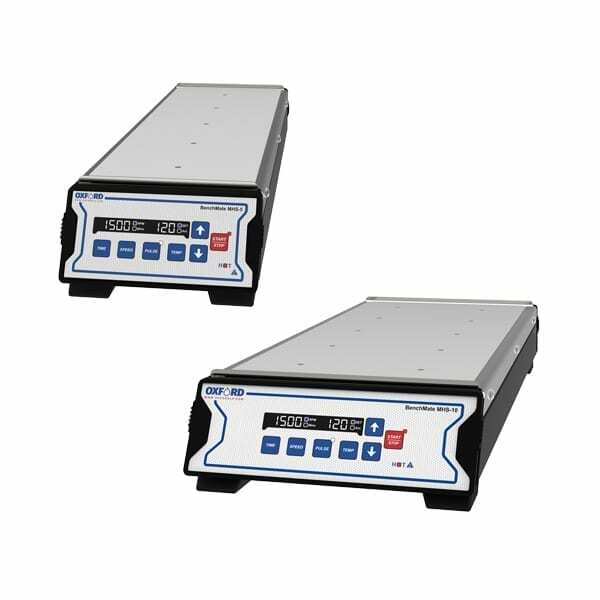 Both hotplate stirrer units have a variable speed ranging from 300 rpm – 1500 rpm in steps of 10 rpm and a timer setting from 1-999 mins and infinite mode. The closed design allows for easy cleaning and protects the equipment from accidental spills. Meanwhile, the non-slip and sturdy rubber feet provide a solid and secure base. High performance multi-position hotplate stirrer with 5 stirring positions for optimal efficiency of time and the use of laboratory space. Variable speed ranging from 300 rpm – 1500 rpm in steps of 10 rpm. Timer setting from 1-999 mins and infinite mode. Closed design allows for easy cleaning and protects the equipment from accidental spills. Non-slip and sturdy rubber feet. High performance multi-position stirrer with 10 stirring positions for optimal efficiency of time and the use of laboratory space.